Shopping for a New Nissan car or truck? Test Drive our Website and Come to First Team Nissan for Convenience, Savings and Selection. We are a local new Nissan dealer, located near Blacksburg, Virginia. When it comes to the vehicle you drive; never settle for anything but the best. We service Blacksburg, Virginia area customers shopping to buy or service a new Nissan. Come down today, set up a test drive by Phone or our online Contacting US form at First Team Nissan. While you are here on our website, view our wide selection of New Nissans and Preowned Used Cars that we have to offer to our neighbors from Blacksburg Virginia. What you can expect to see is Great Quality Used Cars for Sale and the most update inventory of New Nissan vehicles available to Blacksburg Virginia at First Team Nissan. Welcome to First Team Nissan as a Guest in Our Home entering our lot for the first time or as a returning customer you will realize that this philosophy translates to exceptional service, money-saving specials and the latest New Nissan and Pre-Owned Used Car Vehicle Inventory selections and our best prices to its Blacksburg, Virginia area customers, backed by outstanding service. Get Directions to get a great local car deals on New Nissan, Used Nissan Car sales or Nissan service. Please browse our website and Pre-shop our vehicle inventories, get to know the car you want, schedule your Private Test Drive or Come by and talk to us in person in Roanoke, Roanoke County, Virginia. Get direct door to door Driving Instructions to our store from the Blacksburg Virginia Area. 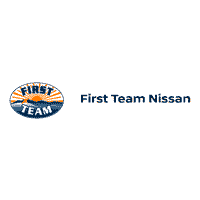 We look forward to meeting you and serving you at First Team Nissan serving the Blacksburg Virginia Area. Shopping for Nissan Parts in Blacksburg Virginia? Great selection and low prices are here, Order Genuine Nissan Auto Parts that are Factory Certified, designed and specifically engineered for your Nissan vehicles. Genuine Nissan auto parts; oil filters, exhaust systems, ignition coils, spark plugs, struts, brakes, tires and more. When you purchase Nissan parts from your local Blacksburg area Nissan dealership, you can rest assured that you are getting Genuine OEM Nissan Parts and accessories with the highest quality parts from experts that know your vehicle at First Team Nissan in Roanoke, Virginia, Order Nissan Parts. First Team Nissan is your top choice for a Nissan dealer and is located in Roanoke, Virginia, and is just a short drive from Blacksburg, Montgomery County, Virginia.